Highway Junction and Truck Park are committed to provide world class facilities to the road transport industry. Highway Junction is the number one rated truck stop in South Africa and the preferred stop-over point for almost 70 percent of truck drivers passing through the N3 corridor. In excess of 1,000 vehicles pass through our facility daily. We have taken a conscious decision to establish a world class logistics hub, storage, handling, refuelling and parking facility. Highway Junction and Truck Park is committed to provide world class facilities to the road transport industry. Highway Junction is adjacent to the N3/N5 junction south of Harrismith and exactly halfway between Durban and Johannesburg. We have been a key factor in improving the on-road safety since May 1999. Highway Junction, Highway Truck Park and the Road Freight and Logistics Industry Provident Fund joined forces in October 2015. We share a passion for this industry and the well-being of truck and other drivers. This joint venture is the first of its kind and we look forward to increasing our service offering to the industry. We are the leaders in driver safety. Competitively priced diesel with industry-leading, value added service and High Definition surveillance. Secure over-night parking and driver's rooms, Laundromat, Driver’s Lounge and Wellness Centre and Clinic (initiative powered and operated by Trucking Wellness). 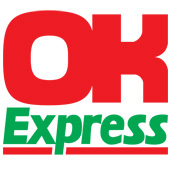 This OK Express caters for driver specific needs. We understand that when a driver is away from home, his truck is his second home. Fresh delicious food prepared daily to ensure drivers can buy fresh food and necessities at great prices.